Judy Ryan (Yoder) Thomas passed away on Tuesday, November 5, 2013. Judy was very connected to our club and was an honorary member, club secretary for many years, and her husband, Art Thomas, is a devoted member of our club. Prior to her marriage to Art, Judy was the wife of PDG William (Billy) Ryan 1982-83. 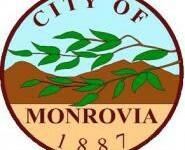 Judy created a scholarship in Billy’s memory entitled, “The Billy Ryan Athletic Scholarship” which is awarded annually to a football player from Monrovia High School.